Subaru has revised its racy WRX sedan with new features and better performance. According to Subaru, the upgrade is the safest WRX yet too, while making the cabin more comfortable and quieter. Born on the rally tracks of the world, the WRX is one of the most exciting sport sedans for sale. Its powerful Boxer motor and symmetrical all-wheel drive provides a safe yet exciting driving experience. Key safety upgrades includes an improved front end crash structure for front collisions, while rear fog lights improves visibility. The WRX is also fitted with all of the active, standard Subaru safety features such as vehicle dynamics control – an advanced version of electronic stability control – which increases road-holding traction. The four-cylinder, horizontally opposed Boxer petrol engine is fitted with either a manual or automatic gearbox that pushes it from zero to 100km/h in six seconds up to a top speed of 240km/h. 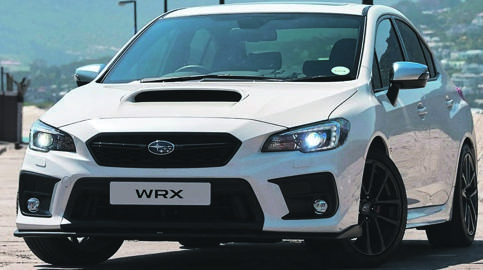 The WRX is sold with a three-year/75 000km full maintenance plan and a five-year/150 000km warranty. Pricing kicks off at R581 400.